Meet The Journalist Who Has Just Been Sued By Jet Airways For A Whopping Rs 1000 Crore! At the Press Club in Delhi, you can smell an outsider from a mile away. Everyone nods at everyone. The waiters know your name. You can't fake familiarity in front of the country's most seasoned scribes. Josy Joseph should know, he has been an investigative journalist in the Capital for close to 25 years now. "In a way, it's kind of cut-throat. Unless you are good at your job, no one really bothers acknowledging you here," says Joseph as he signals the head waiter of the restaurant to bring the bill. Today, Joseph is being acknowledged all right. All eyes in the room are on the man being sued by the country's largest private airline for Rs 1,000 crore. 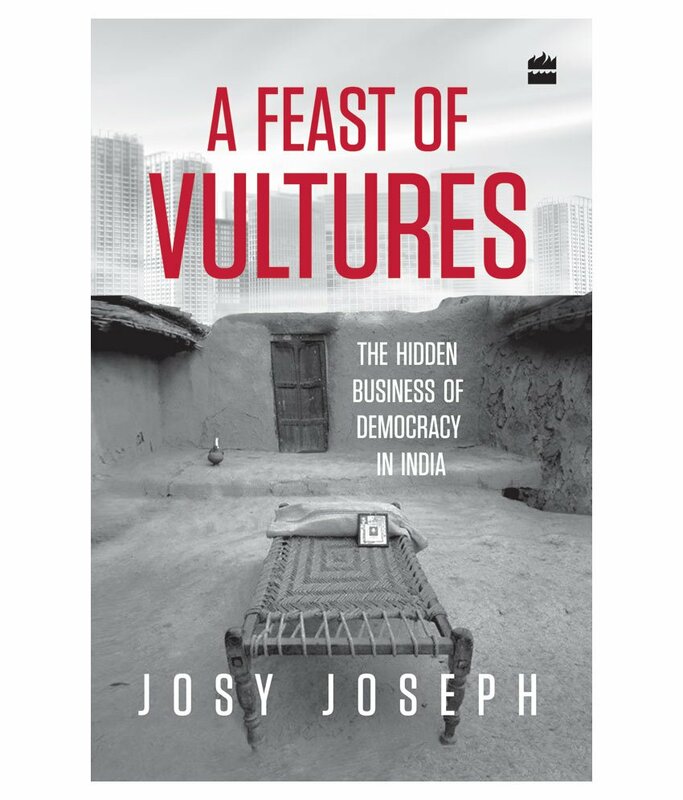 Joseph, who wrote about the alleged links between gangster Dawood Ibrahim and the airline company in his book A Feast of Vultures (Harper Collins) earlier this year, is facing a defamation suit filed by Jet Airways and its founder-chairman Naresh Goyal. "I was expecting this. But still when I first heard of the amount, I felt a little disoriented. But I can't worry for long. It's not in my nature. Moreover, I must have collected thousands of pages of documents in the course of my research over the last decade," says Joseph. 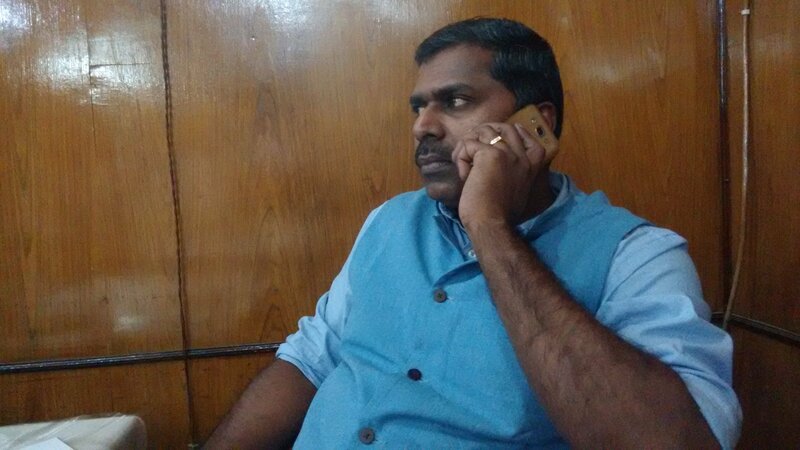 Joseph's phone hasn't stopped ringing since the news of the Rs 1000 crore suit was announced on Wednesday. "A lot of important people have said that they will support me," he says. Yet, there is one phone call he has been waiting months for, but still hasn't received. "I find it very surprising that no one from the government has called me yet. In my book I talk about the HDW defence scam of 1987. CBI closed the case because of lack of evidence. I also mention how former Army chief General S.F. Rodrigues, who later became the governor of Punjab, did direct business with notorious arms dealer Sudhir Chowdhrie. Doesn't the government care about all this?" he asks. Clearly, Joseph is prepared for backlash. "When I decided to write this book in 2009, I knew I wanted to talk about stories that are held back because they involve important people. Which is why I didn't show the book to anyone before I completed it. I didn't want my publishers to tell me that I can't talk about certain powerful people. Had I not got any publisher, I would have self-published the book," says Joseph. Which is probably why A Feast Of Vultures reads more like a reportage than a novel. "I didn't want the book to be a dry academic account of things. I have spent close to ten years investigating all this. For example, when I talk about the mining industry and Vedanta, I visited Patna, the hometown of its owner Anil Agarwal. I wanted to find out more about the place, the essence of it," says Joseph. Born to an orthodox family of Catholics in Cherthala in Kerala, Joseph completed his schooling from the prestigious Sainik School, Kazhakootam. "It's probably because of my Christian guilt that I always try to set everything right. Let me recount an incident from school to elucidate that. During our school assembly, we were made to read speeches to improve our spoken English. It was during the Gulf war of the 1990s and I had written a scathing anti-USA speech condemning the attacks which got me almost expelled. My conscience wouldn't let me rest. I had to do that," says Joseph. His book has taken on some of the most powerful and influential people in the country, does he fear some kind of harm coming his or his family's way? "Recently a Malayalam daily reviewed my book saying that it's a miracle I am still alive. That scared my mother a lot. However, I personally believe that I have insulated myself from harm in a perverse manner by putting it all out there. Now if something happens to me, fingers will be automatically pointed at my detractors," he says. Has he considered the possibility of losing the Jet Airways and Naresh Goyal suit? "It's a pity that things have come to a stage where a person like Naresh Goyal can feel emboldened enough to file a defamation suit. However, I have full faith in our country's judiciary," says Joseph.